Android has long provided a way for developers to show web content in apps without implementing a full browser with WebView, but the nature of this component has changed a lot over the years. It became Chromium-powered, was unbundled from the system, and then got a beta channel. Starting in Android 7.0 Nougat, WebView will actually be Chrome. For Chrome to handle WebView rendering, you'll need to be on v51 or higher with Android 7.0. The default behavior in this instance will be for the Chrome APK on your device to render Android System WebViews. Google says this is more memory-efficient than using the current WebView. 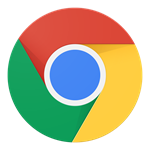 The standalone WebView APK will no longer be updated via the Play Store as long as the Chrome rendering remains enabled on your device. Should you want to change the WebView rendering mode, that will be in developer options under "WebView implementation." You can choose between v51 or a higher build of Chrome (stable, beta, dev) on your device or the regular WebView APK.